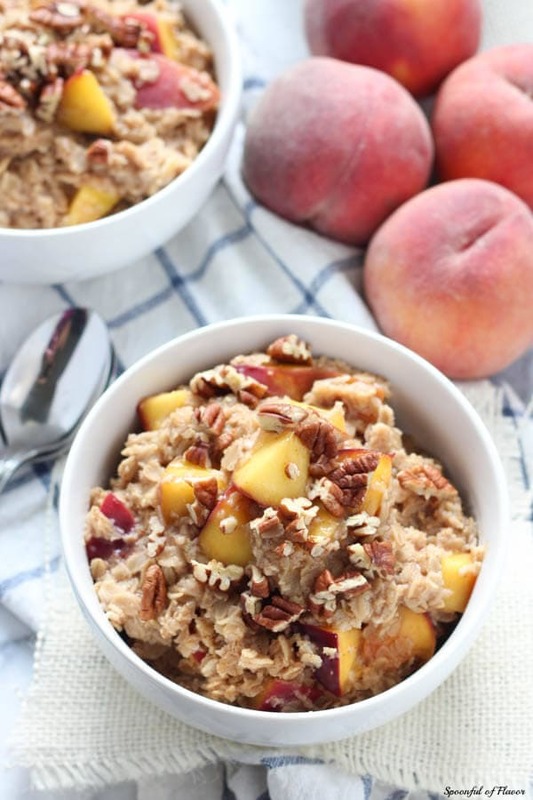 Peach cobbler oatmeal is an easy and delicious breakfast ready in less than 10 minutes! 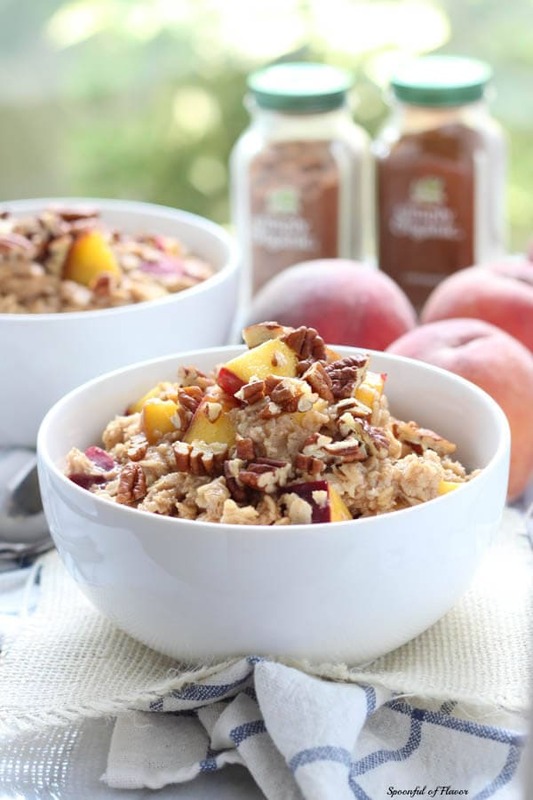 Fresh peaches, cinnamon, nutmeg and brown sugar create an oatmeal that the entire family will love! Peach season is at its peak. Apparently this year the peaches are high quality and very large. And I’m pretty sure I purchased the world’s largest peach this weekend. I wanted to take picture to show you, but it somehow disappeared before I was able to get a picture of it. No matter how many I buy, they never last very long in my house. We eat peaches for breakfast, lunch dinner and dessert. 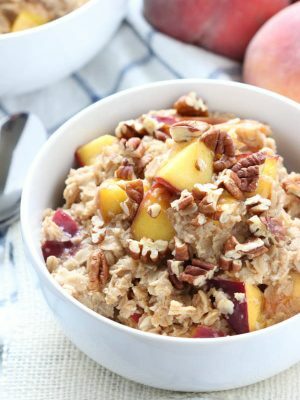 Today, I’m sharing Peach Cobbler Oatmeal – a good choice for breakfast inspired by a classic dessert! I was never a fan of the premade boxed and packaged oatmeal. 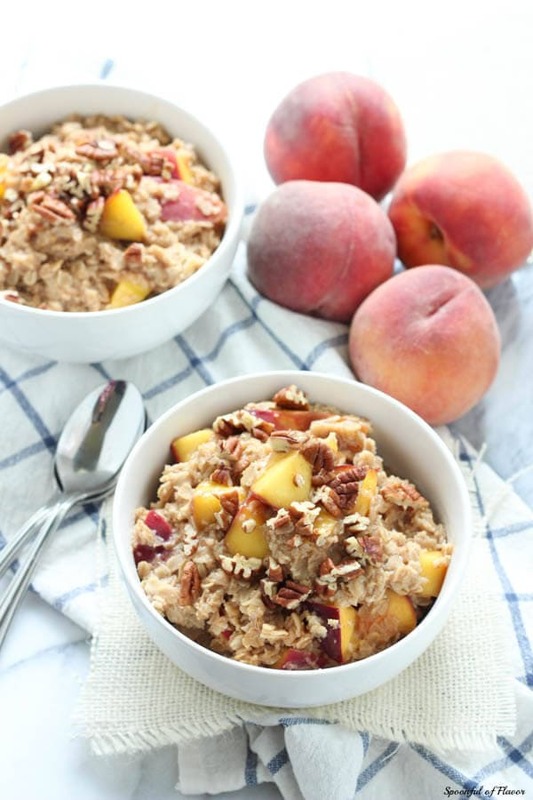 Why eat the pre-packaged stuff when you can have fresh peaches in homemade oatmeal? 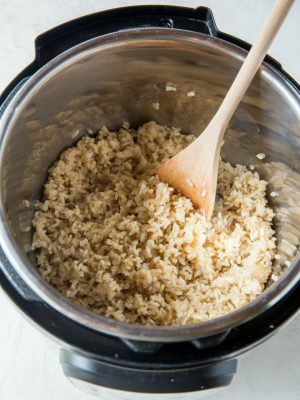 This oatmeal is ready in less than 10 minutes so it can even be made on busy mornings. And since I love everything a little crunchy, I topped it off with chopped pecans. 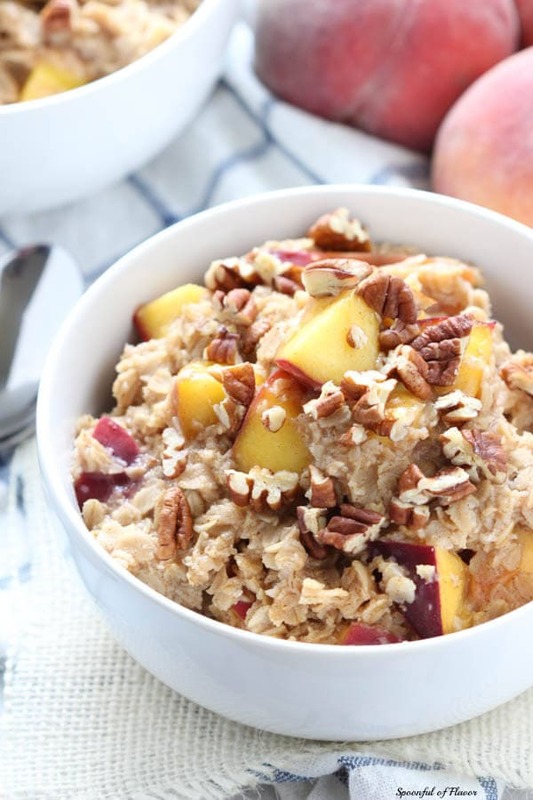 It’s very easy to make peach oatmeal. Combine water, salt, oats, cinnamon and nutmeg in a large saucepan over medium heat. Cook for four minutes or until the oatmeal thickens. Add fresh chopped peaches and brown sugar and cook for an additional minute. Garnish with pecans and serve immediately. Use any variety of milk to make it creamier. Or omit milk all together and make a simple oatmeal. Switch our peaches for any of your favorite fruit. Oatmeal tastes great with berries, apples or bananas too. Oatmeal reheats well. 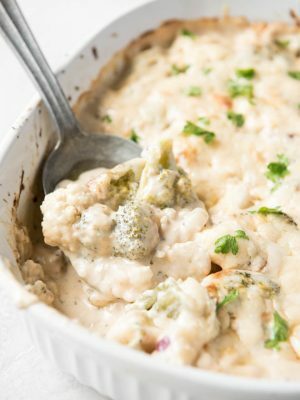 Make a large batch at the beginning of the week and reheat throughout the week. Add additional milk just prior to serving. 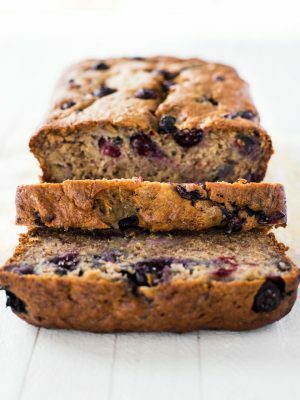 Use fresh fruit for the best texture and flavor. We don’t recommend using frozen fruit in oatmeal. 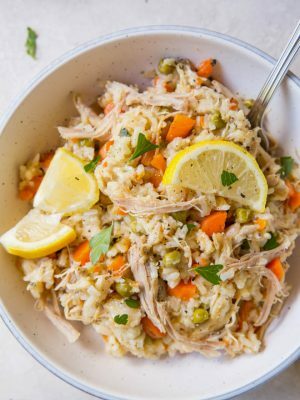 Swap out traditional oats for steel cut or Irish oats. Adjust your cook time depending on the type of oats used. 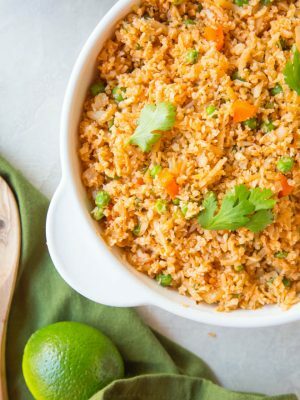 You can even use quinoa instead of oatmeal. I like my oatmeal thick and barely sweet. Feel free to add milk or additional water for a creamy texture. Add more sugar for sweetness, as desired. 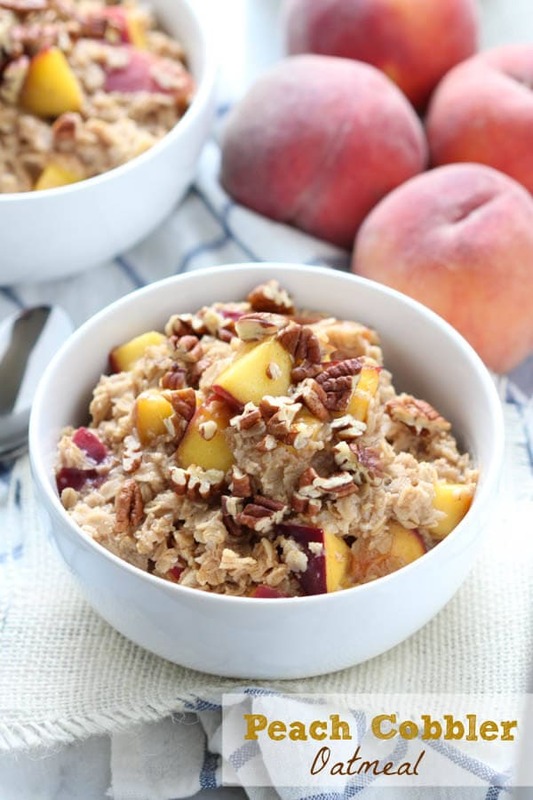 Enjoy the taste of fresh peaches and oatmeal for breakfast! 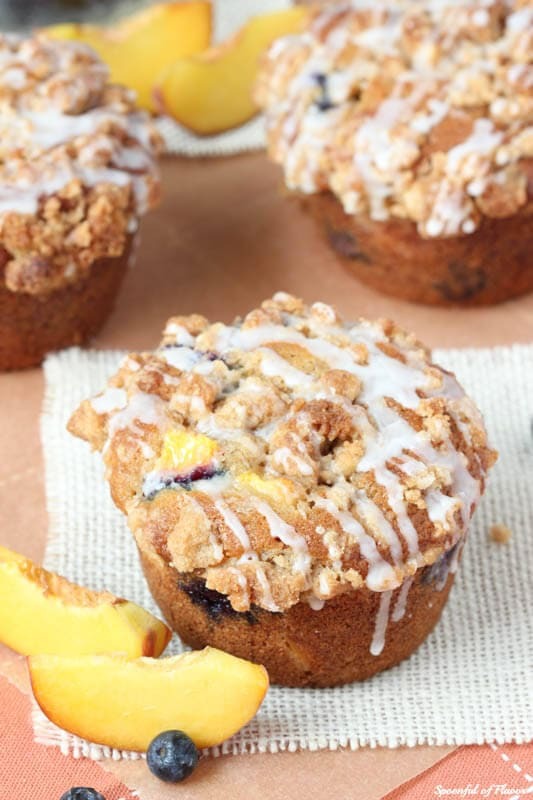 If you love oatmeal, try it baked too! In a large saucepan over medium heat, add water and salt. Bring to a boil. Add oats, cinnamon and nutmeg and stir to combine. Cook for 4 minutes, or until oatmeal thickens. Add peaches and brown sugar and cook one additional minute. Serve immediately and garnish with pecans, if desired. Add additional light brown sugar as desired. I like my oatmeal thick. If you would like creamier oatmeal add milk as desired. Oh my! 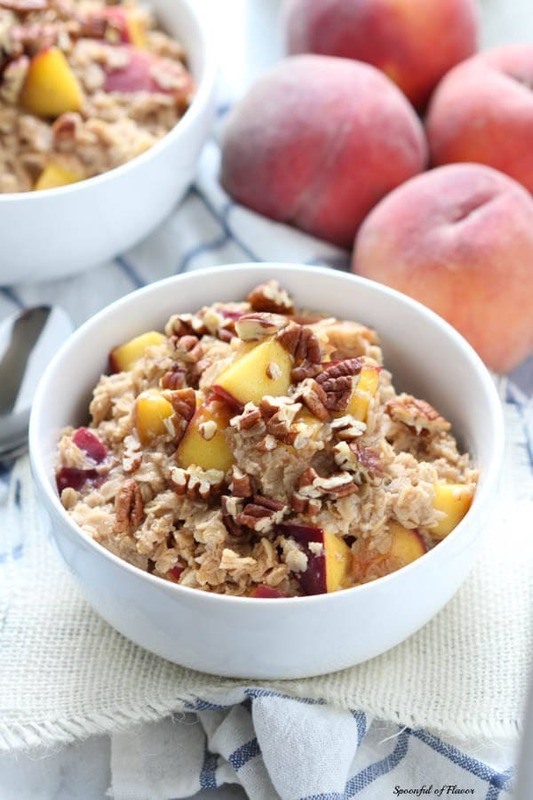 This peach cobbler oatmeal was delicious – and so easy to make! Will have to try this for my family. Thanks so much! 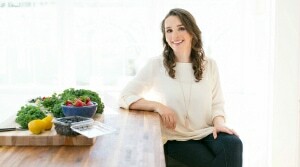 Hi, Julia! I'm so glad to hear you loved this oatmeal. Thanks so much for your feedback! 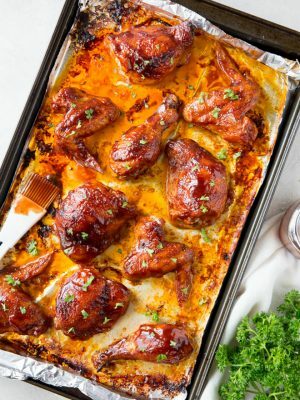 Um, I immediately bookmarked this recipe because it looks incredible and the recipe is pretty darn healthy as well! I'd just sub out the sugar. I've made it so many times already! Now I only have our homegrown frozen cut-up peaches so I take them out at night to thaw and have them ready in the morning. I also fill the pot with water at night and get other ingredientsready in a large measuring cup. My three kids love it on busy weekday mornings! So do I and my hubby! Thanks for sharing! Yummy! 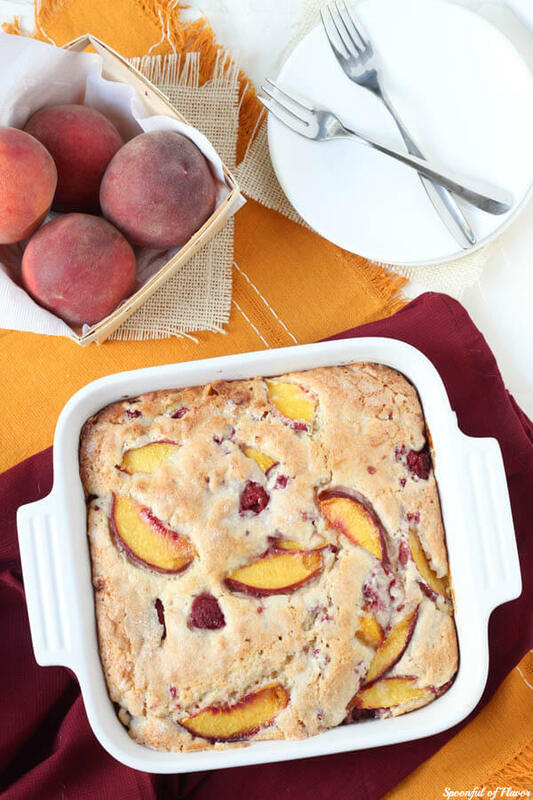 Perfect quick summer breakfast for all of these fresh peaches! love! 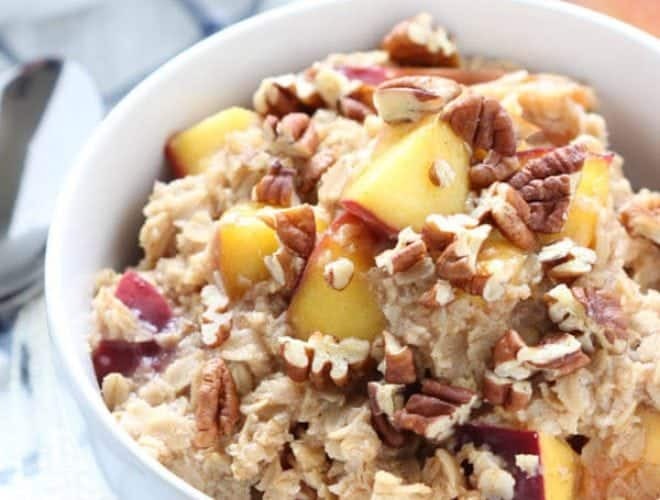 The peach cobbler oatmeal looks delicious. You can't go wrong with fresh, ripe peaches! What a delicious oatmeal! 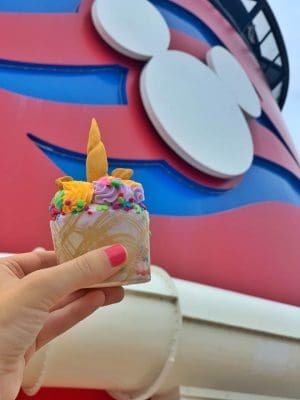 Wow this looks amazing!!! I cannot WAIT to try this one! This oatmeal looks amazing! Peach cobbler for breakfast is my type of meal. I love finding new oatmeal flavors, so can't wait to try this out! This sounds wonderful! 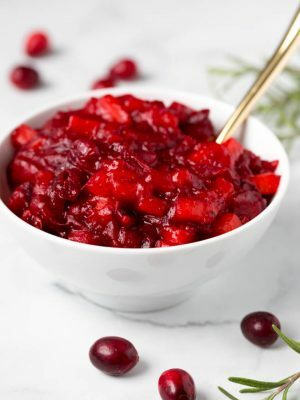 Since it is still really hot where I live, I think I would try this as overnight oats for summer, so I can enjoy it now. Hi, Susan! I hope you get a chance to try it! Hi Ashley! I did try this, as overnight oats and it was very nice. Definitely something I'd do again. The only issue I had with it is that I can't get tree-ripened peaches anywhere that I know of, here at home, and the flavor of tree-ripened fruit is always better than standard issue commercial. I'm hoping to have a good opportunity to try this as hot oatmeal, too. Peach is one of my very favorite flavors. Ashley I love this! I just can't get enough peaches this summer!